"One who calls himself a Sikh of the Guru, the True Guru, shall rise in the early morning hours and meditate on the Lord's Name." The Gurbani line above by Guru Ram Daas Ji explains itself. Guru Ji is saying that a person who wakes up at Amritvela is the only Sikh. An Abhlaikee Sikh should wake up Amritvela before the Amrit Sanchaar (Amrit ceremony) for at least a few months or even a year etc, so that one does not find much difficulty in waking up after being blessed with Amrit. If one has not woken up Amritvela before taking Amrit one will find it very hard, not sayings it’s not possible. There is no fixed time for Amritvela as it depends on the sun. People may wake up at 5am, 4am, 3am, or earlier. The main objective is to wake up before everyone else does in the world, i.e. sacrifice one's sleep for Waheguru. "O Fareed! If you do not awaken in the early hours before dawn, you are dead while yet alive. Although you have forgotten God, God has not forgotten you. ||107||"
"Upon arising early in the morning, he is to bathe, and cleanse himself in the pool of nectar." "The food and clothes, and all the worldly possessions of those who are attuned to the Lord's Name are sacred." "O person of God! Purify the mind what is impure (with bad thoughts) “this is the religious tradition through which you can experience the Lord's Presence. (Abandoning circumcision, mutilation and deferment of the body etc) preserve a complete appearance with a turban on your head" this becomes the way to maintain respect and honour. ||12||"
"Comb your hair twice a daily and retie your turban each time your wear it. Clean your teeth daily and this way you will not suffer pain." "The One Name is the Lord's Command; O Nanak, the True Guru has given me this understanding. ||5||"
At Amritvela one should japp naam for at least 1 hour sitting. It is also important to do some sitting of Naam Abhiyaas (repetition of Naam) some other time during the day. Doing Naam Abhiyaas before going to sleep is a must as it will carry on unconsciously throughout the night, which will make it easier for one to wake up again. One can go into a lot of depth on the subject of Naam; it’s the key thing in Sikhi. Without Naam one will find Sikhi very hard and one may even begin to question the concept of Naam. One needs to stop wasting time and speak less and act more. A lot us of can talk about Sikhi but when it comes to implementing and practising Sikhi then we fall short. By talking less idle talk, not eating more than your body needs to, and not sleeping more than you have to, one can increase one's jeevan (spiritual life) and also one's Naam Abhiyaas. "To speak too much and babble is useless." "One who meditates on the Lord obtains all pleasures and comforts; let us go each and every day, to sit in the Saints' Society." Doing Amritvela with the Sangat has a lot of benefits, one will find that they can do more Naam Abhiyaas, find it easier to wake up Amritvela, doing more Sangat will have an increased effect on one's Naam Abhiyaas, for example if there are 5 Gursikhs doing Naam Abhiyaas for an hour then that would equal to one Gursikh doing Naam Abhiyaas for 5 hours. Some get into hankaar (ego) and think that there is no need whatsoever to have the support of the Sangat, but this is a foolish mistake and one can easily fall. So stay in the true Sangat - where there is Naam and Bani there is true Sangat. In Sikhi, there is an important concept known as 'bibekta'. Bibek literally means from two to one. Bibek is a God-given conscience that allows a Sikh to discriminate between right and wrong, i.e. knowing what is good and what is bad. Not only is Bibekta applied in a Sikh's everyday life - for example, knowing it is wrong to cut one's hair or that it is right to do Nitnem in the morning - but it can also be applied to what one eats. Bujjar kurehats (cardinal taboos) and other Rehat Maryada (Code of Conduct) rules come into play here. Sikhs must abstain from alcohol and tobacco, that is a given. Arguments ignored, most Sikhs also agree that it is against Sikhi to consume meat, fish, or eggs. Gurbani clears up all doubts and clearly prohibits the slaughter and eating of animals. 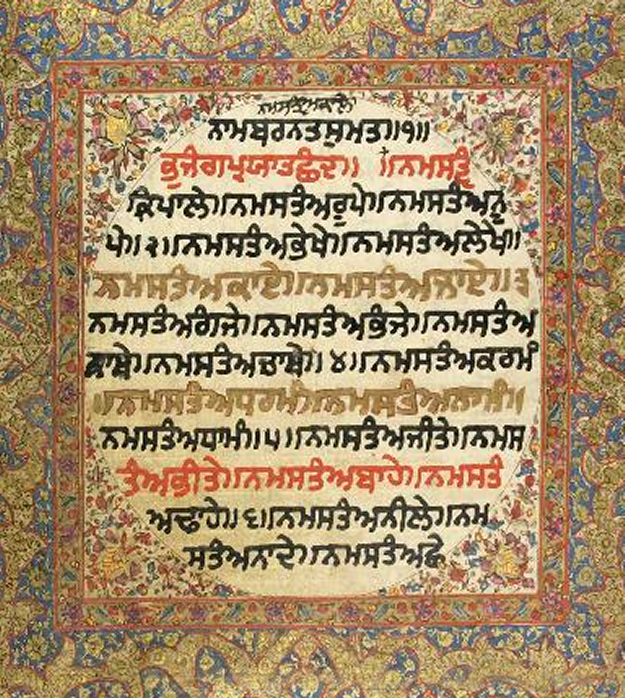 A Hukamnama (edict) issued by Guru Hargobind Sahib Ji states, "Maas Machee De Nere Nehi Avanaa" next to his signature (note: see Prof. Ganda Singh's book: 'Hukamname'). "Keeping friendships with the unrighteous, and eating the prepared food from the unrighteous. Those people do not know the value of the Lord's Praises (i.e. their internal Naam Jaap stops), and Satan (desires, anger, greed, emotional attachment, and ego) takes residence in the mind." After this level of Bibek, there are higher levels. For example, many Amritdharis abstain from eating out at restaurants. One who wants to know the possible negative side-effects of TV should read Baba Harnaam Singh's book, Sai Kinayhi-aa, it has a chapter where it shows the reader the effect that television can have on one’s jeevan. It can lead to the 5 vices attacking us from inside, take us away from Naam, and make it harder to concentrate on Naam Abhiyaas. Watching television till late will prevent one from waking up at Amritvela. By staying away from television as much as you can or limiting yourself to only watching selected programmes like the News, documentaries and educational items, one's jeevan will greatly increase and the love for our Guru. If watching meaningless films and television dramas helps you to japp Naam then carry on watching more, BUT be honest with yourselves. Whatever you do, if anything stops you from japping Naam then stay away from it. It’s simple! Same applies for MSN, social networking sites etc. You must way up the benefits and negatives for anything, and then make the right decision that benefits your spiritual progress. Nothing is intrinsically bad, but it is important to keep everything in balance with your spirituality. "Surrender body, mind, wealth, and everything to the Guru; obey the Order of His Will, and you will find Him. Body - sleeping, eating and talking; Guru jee has advised us to reduce these. i like it very much. bhut wadiya likheya hai very help ful.